【E1 Environment Material】E1 degree solid particle wood，desktop made of 0.6" thicker laminated MDF Board.the edge of top are smooth.waterproof and anti scratch.Sturdy metal frame coated in anti-rust and corrosion-free finish which make up a rectangular structure ,make the table more stability. 【Spacious Desktop】This computer desktop is L47.2"x D23.6", It provides sufficient space for writing, computer work and other home office activities, to keep your home and room tidy and clean, no mess any more! 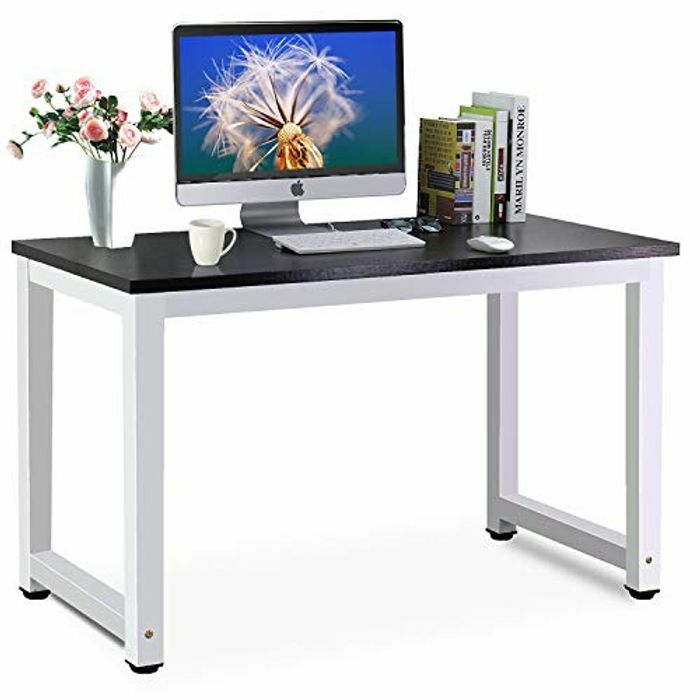 【Best Service Guarantee】If you are not satisfied with our computer desk or have quality problems.Just contact us, to service within 24h. Assembly included.